For most small business owners it can be financially restrictive to develop a top class website, develop branded marketing materials, client handouts, business apps and client interface systems. It can also be time prohibitive to develop all the tools and resources you need to support your brand and market your product. On top of that you have to ponder how you can achieve expertise at financially managing your business, developing a marketing plan, hiring and training employees, and all the other nuances of running an effective and profitable business. 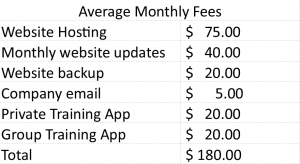 Then you will have ongoing monthly fees like this, these are just the basics! 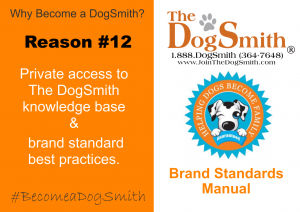 Click here to watch a short webinar describing all the benefits of joining The DogSmith and more! As a DogSmith you get so much more, without the worry of website updates and other off the cuff expenses you have not planned for! There are more than 20 Reasons To Join! 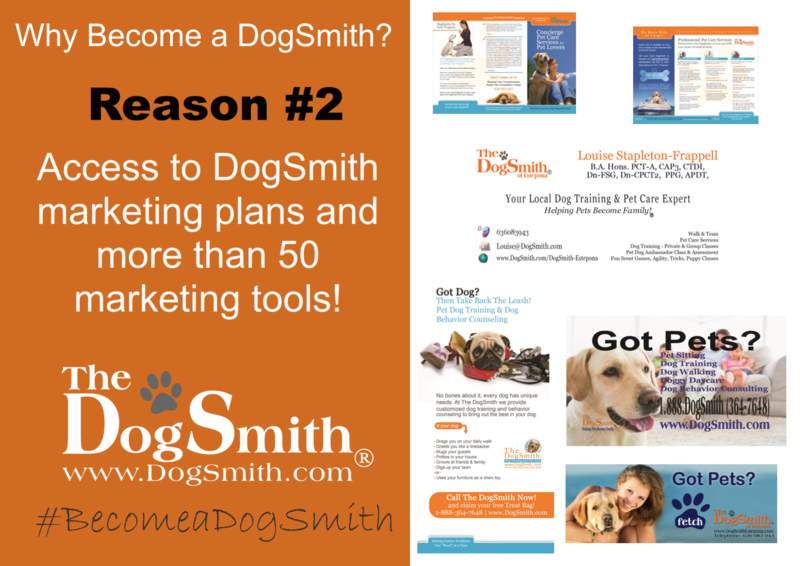 Here, at The DogSmith, we are sitting on tens of thousands of dollars of business and marketing tools and resources that we want to share with competent, ethical and highly motivated pet professionals. 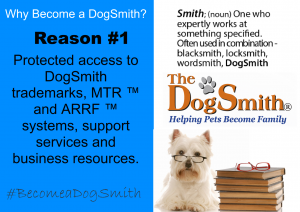 The investment to join the DogSmith is less than it would cost you to go it alone, and the nominal monthly fee that covers the cost of all these resources will make you smile rather than grimace. The DogSmith trademarks and reputable trustworthy brand recognition. Access and support with our proprietary training system, On Task Skill Coaching. Access and support with people training skills. More than 15 group class service options. Multiple pet care, dog walking and slumber party service options. Private training, latch-key training, board and train, and behavior consultation service options. Licensed service products that are tested, reliable and effective. A toll-free vanity number (USA only). High quality website with personalized pages. DogSmith email address for business owner. Search locator to help clients find you. Online booking forms for board and training, private training, group training and behavior consultations. Group class software for scheduling and listing classes and receiving client payments. 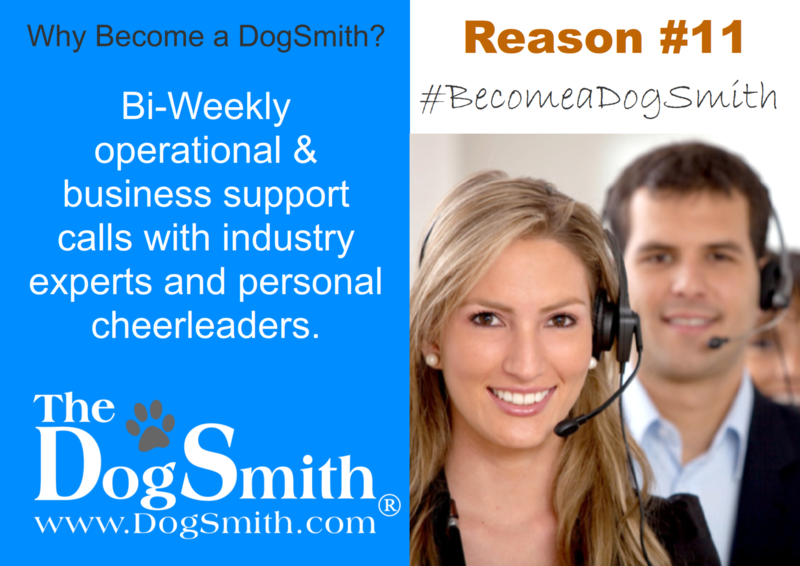 DogSmith private training application for on-the-job appointment management and client communication. Online behavior change program software and forms to support quality customer service. Financial forms to help you manage your bookkeeping and financial forecasting. Business tools for your daily operations. Training and development knowledge base manuals. Over 40 client training handouts. Skill videos for more than 20 training skills. More than 20 proven pieces of marketing collateral. 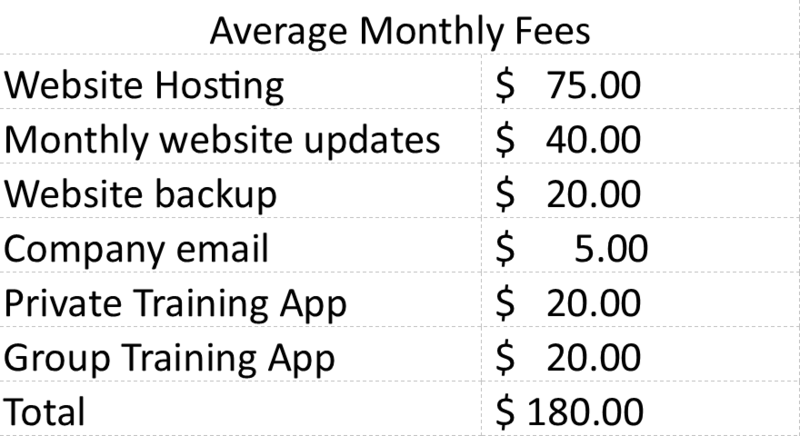 Pet sitting software preferred pricing. Support and ongoing educational access to our sister company, DogNostics Career College certificates and diploma programs. Marketing plans, manuals and best practices. Dog Bite Safety Education through Doggone Safe membership and access to a FREE electronic Be a Tree Teacher Kit. 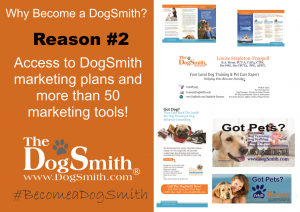 To help you get an even better idea, check out one of our local DogSmiths. If you have not yet watched our short webinar about The DogSmith that explains what we do and how we can help you, then we recommend you watch it now! Click here and start the process today!